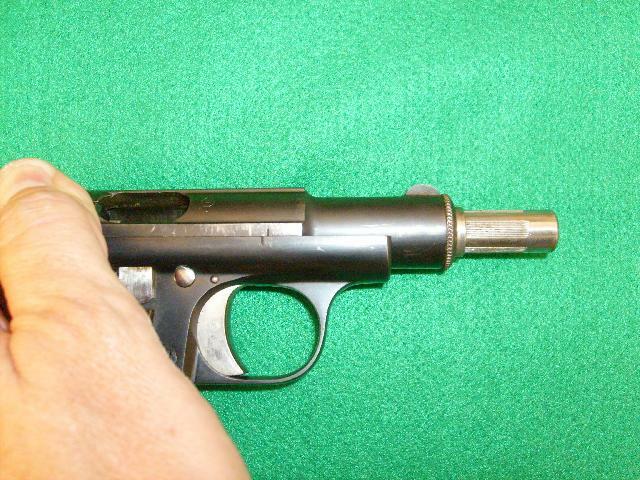 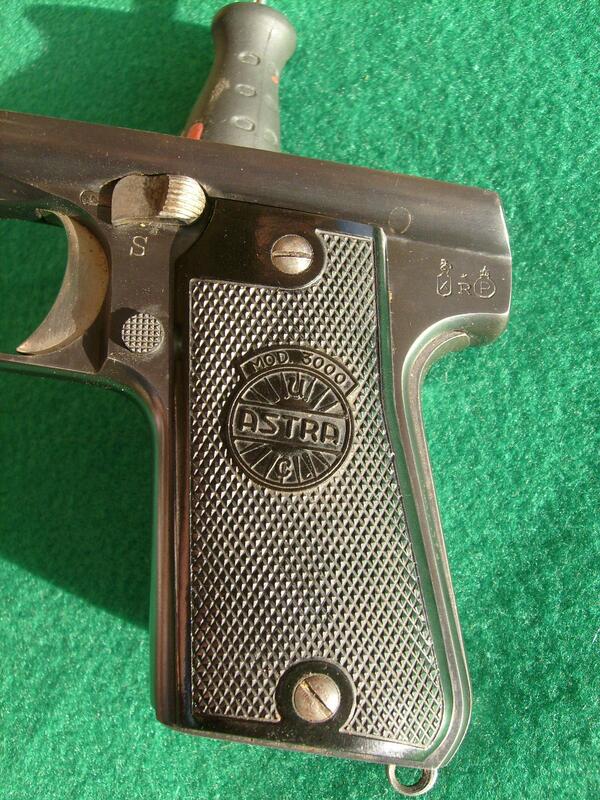 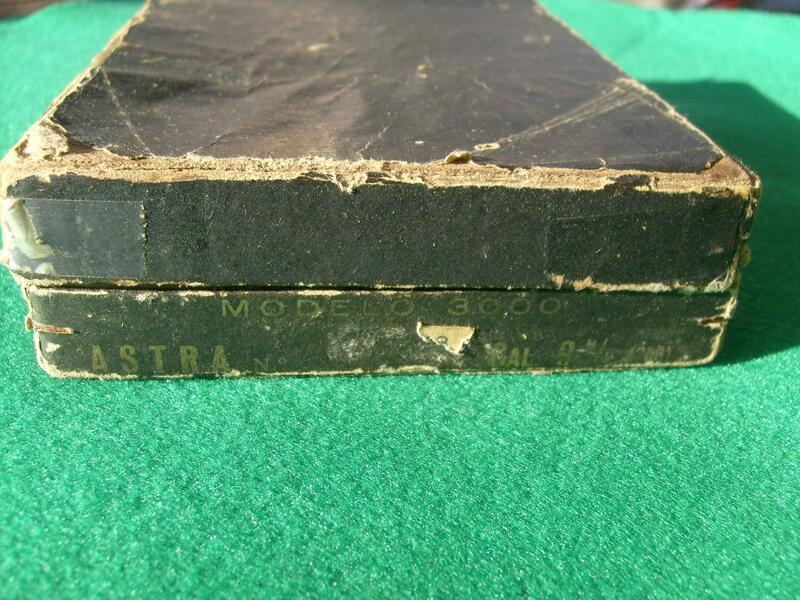 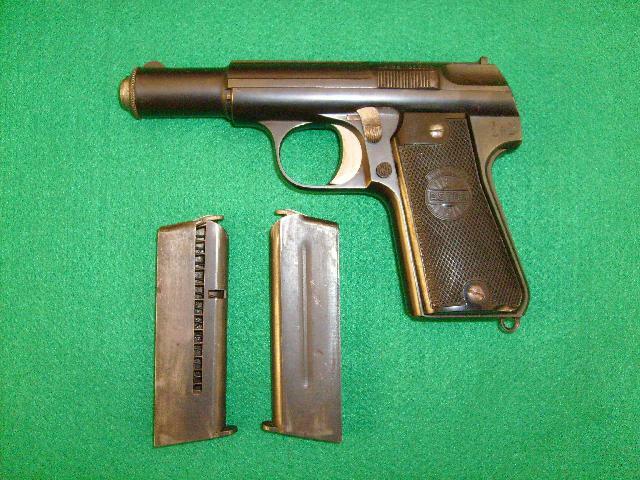 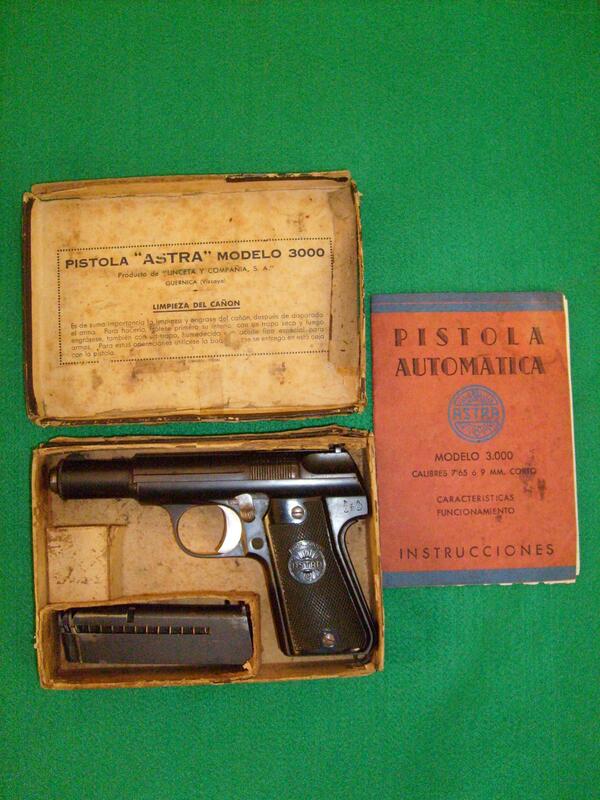 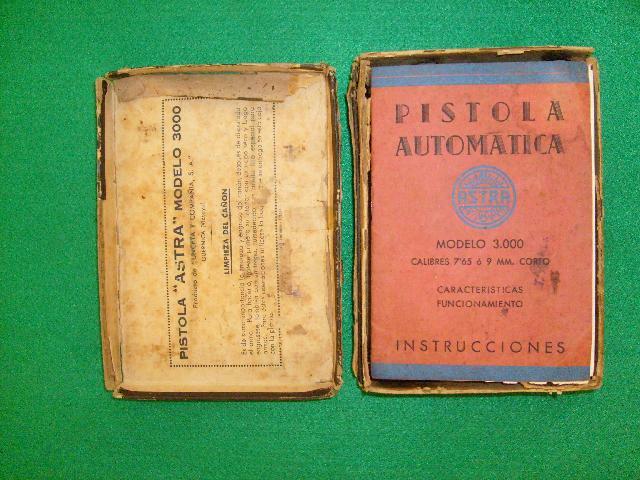 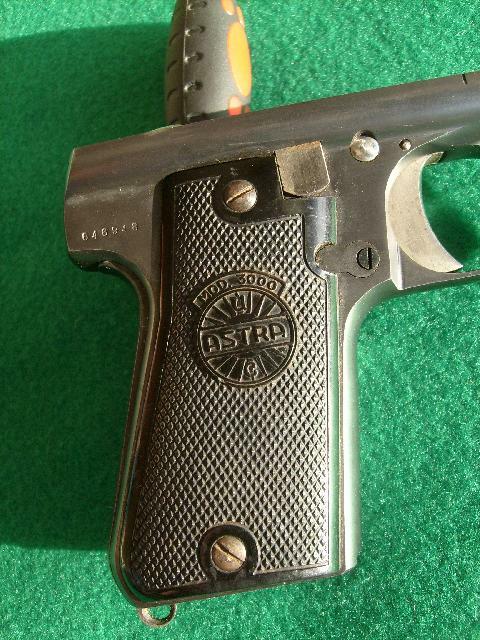 Like many other Spanish manufacturers, Esperanza y Unceta (later Unceta y Cia, more commonly known as "Astra") started out by making "Eibar" style pistols close to the start of the 20th Century. 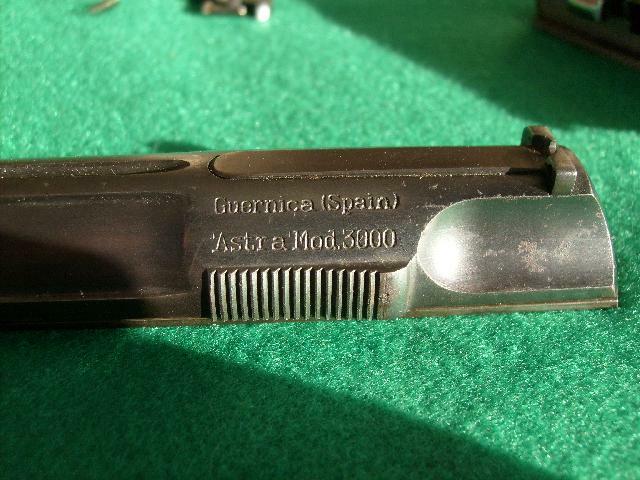 In 1920, the Spanish War Ministry held trails with only three pistols, two from Esperanza y Unceta, one from Bonifacio Echeverria ("Star"), The Model 400 (in 9mm Largo) was chosen as the winner. The Model 300 is a scaled-down version of the Model 400, in 7,65mm (.32 ACP) and 9mm Kurtz / Short (.380 ACP), and in turn, the Model 3000 is an updated version of the Model 300, introduced in 1946. 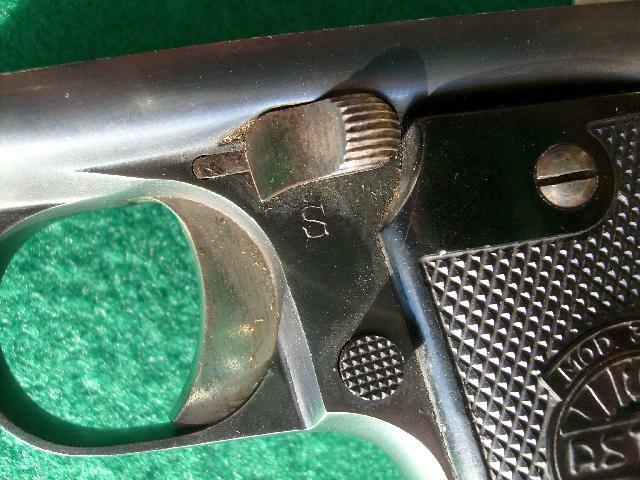 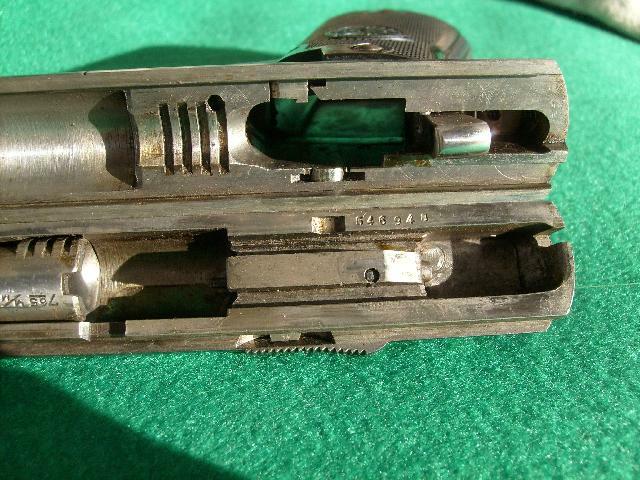 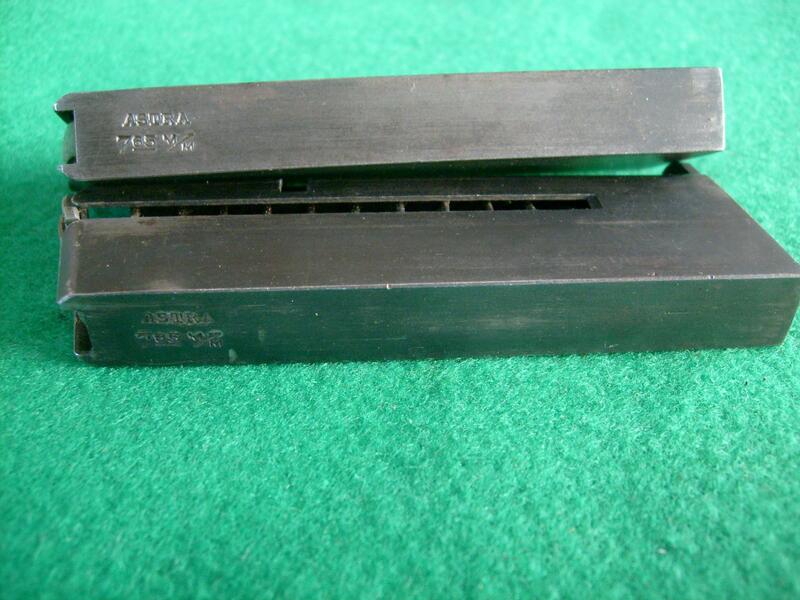 This example, serial number 646948, was built in 1947, and is chambered in 7,65mm. The safety is a trigger block only. 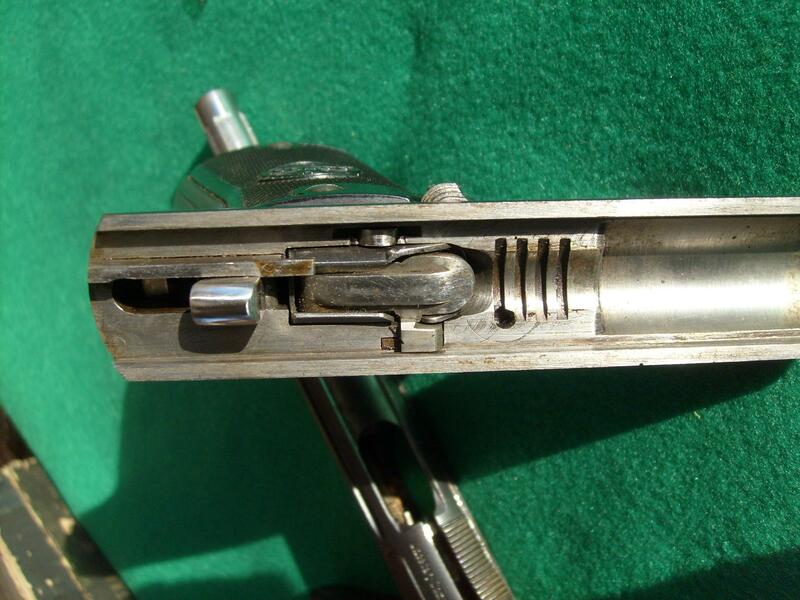 ...and turn the barrel anti-clockwise to unlock it from the frame and lock it into the slide. 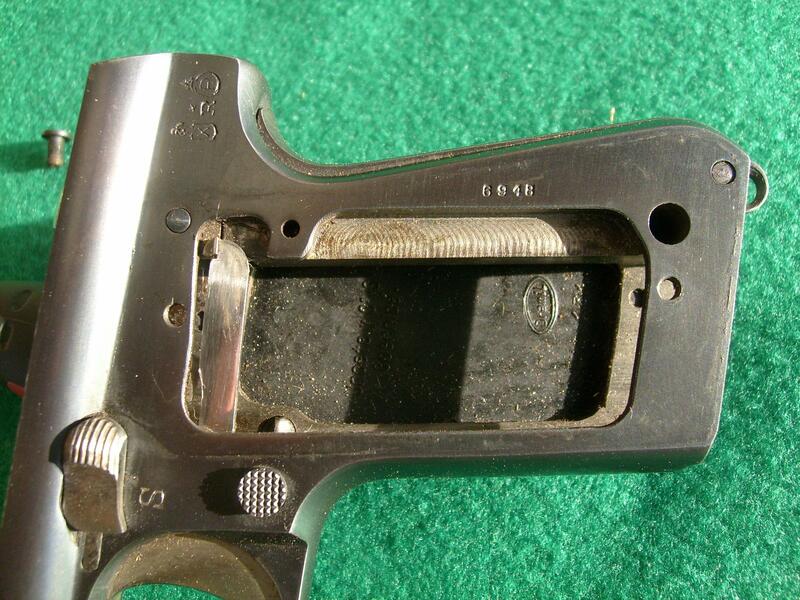 The slide then slides off towards the front of the pistol. 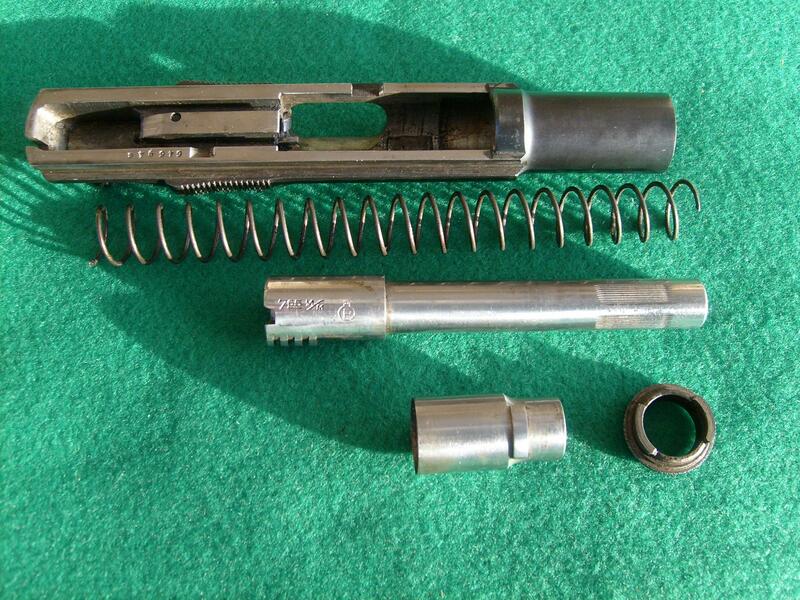 Of course the barrel is still held under pressure of the return spring, so if you turn the barrel clockwise now, it'll slip back into the slide and it's tricky to get it back out. 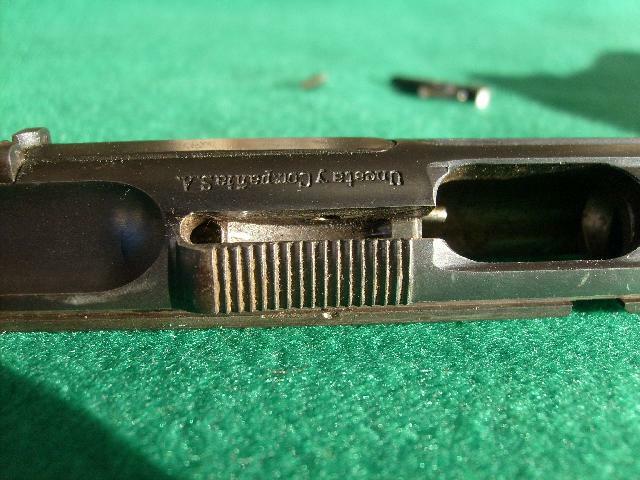 There's also a trick to further disassembly. You need to press on the collar around the barrel, then turn the knurled ring until it unlocks. 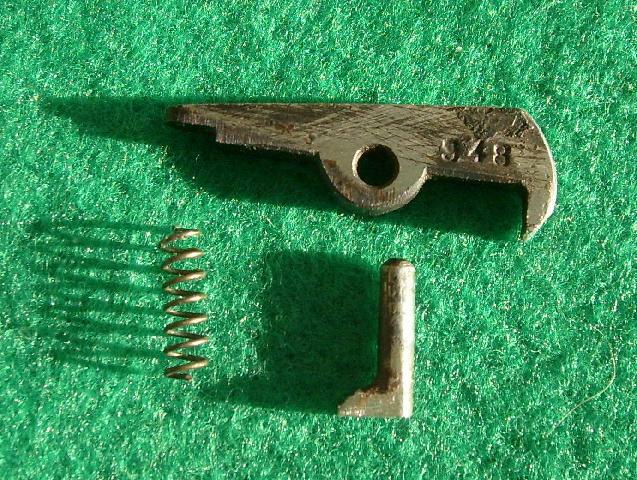 The extractor is held in by this pin. 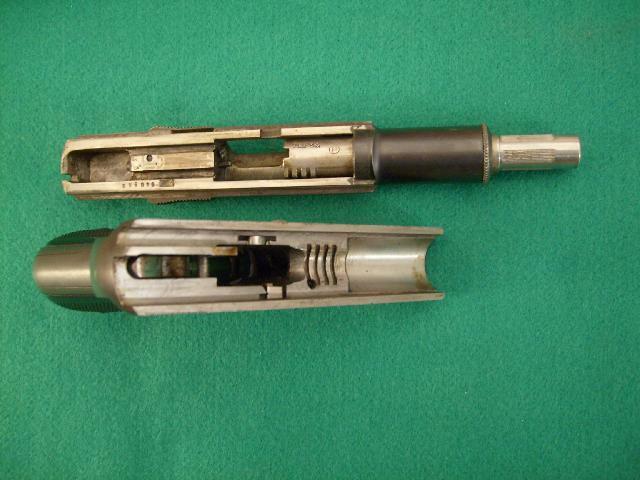 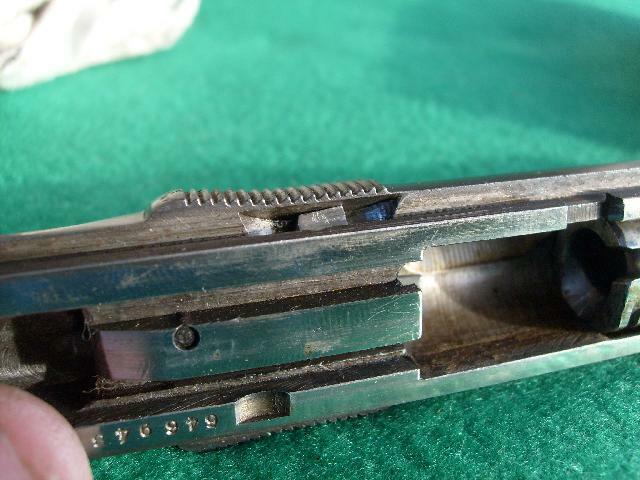 The frame carries the disconnector (at the bottom of the frame, when resting in the corresponding indent in the frame, the trigger will trip the sear) and the slide lock (at the top, engaged by the magazine follower). 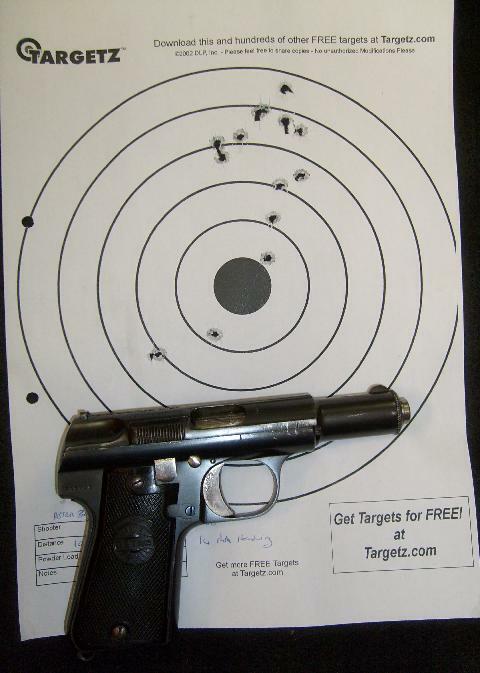 Two magazines (14 shots) at 10 meters, standing. 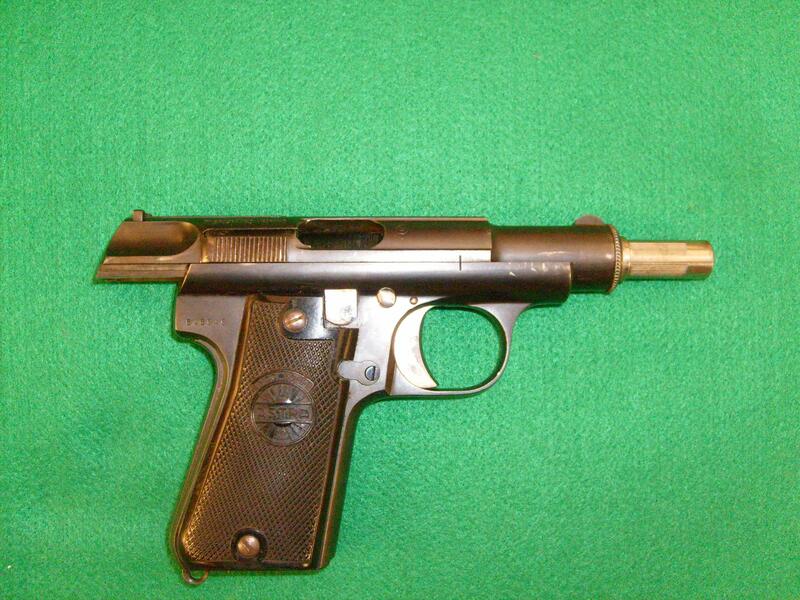 I'm actually a better shot than this, if I take my time. 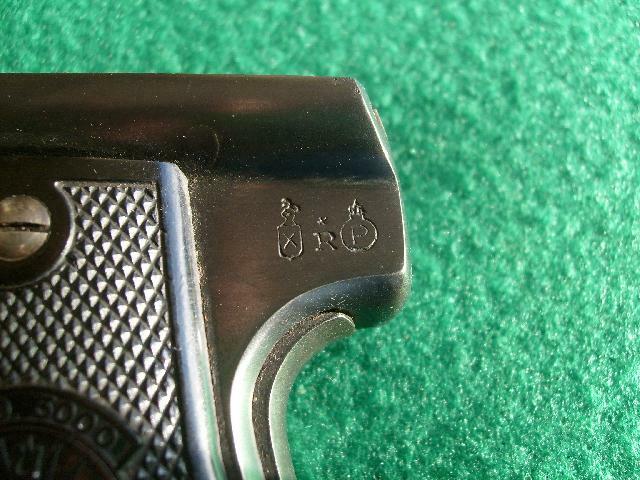 But that's what they all say.